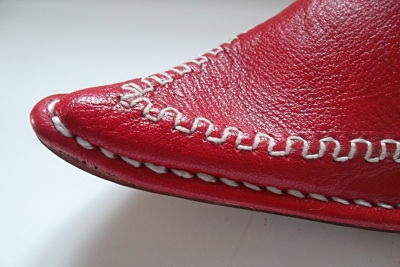 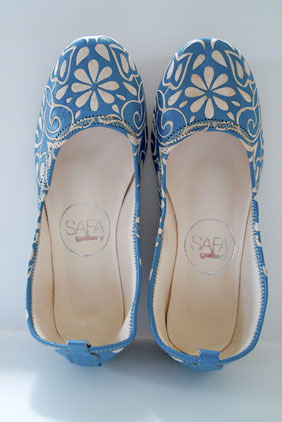 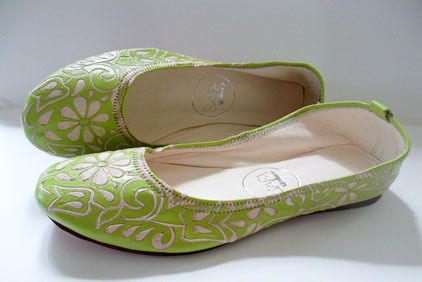 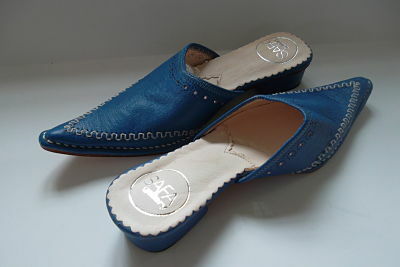 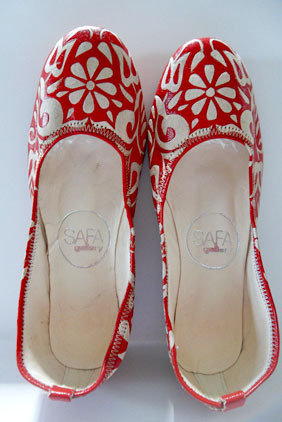 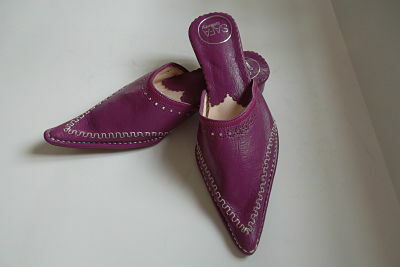 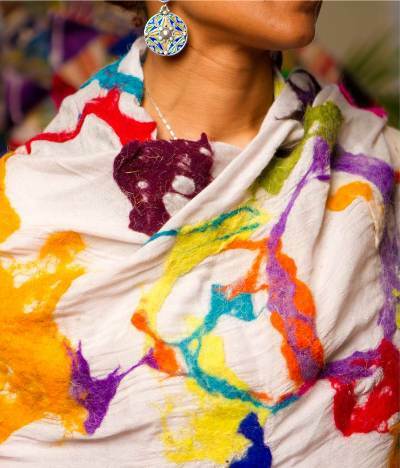 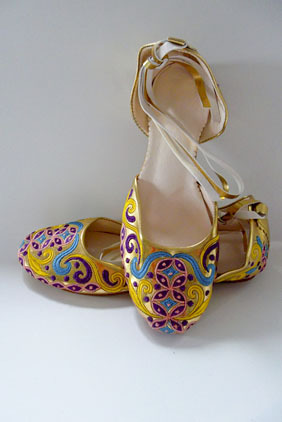 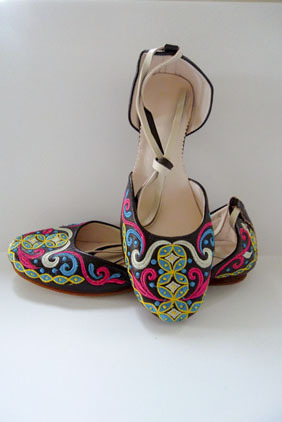 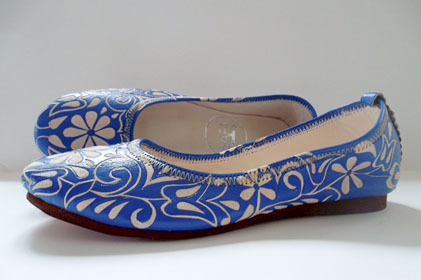 Turktoes Footwear by SAFA Shani Gallery is crafted by hand with 100% leather then stained or painted with unique colors. 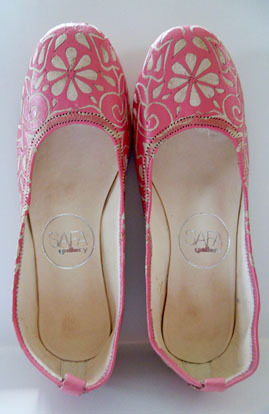 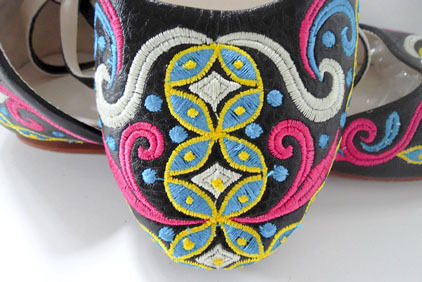 The etching embroidery detail is stitched with cotton thread. 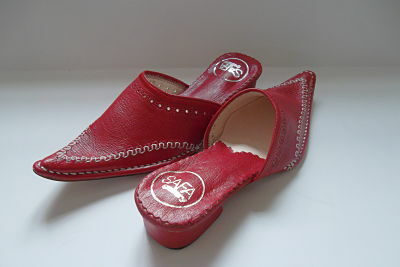 Each shoe has a hard leather sole which is designed for comfort and durability through everyday wear. 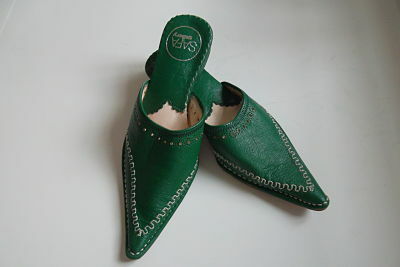 Turktoes Footwear is available in a number of loveable and distinct varieties that will meet all your style needs.